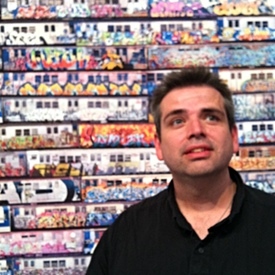 The photo was taken with instagram by Brent Nelson at Art in the Streets a few weeks ago. The rest of the header is CSS. I also tweaked the code on the headers page to use delegate() properly. Joe Crawford blogged this at 12:37pm in 2011 in July. The 7th was a Thursday. You are reading this 8 years later. Comment. There are no comments Tweet. Send email. It has hashtags→ headers .